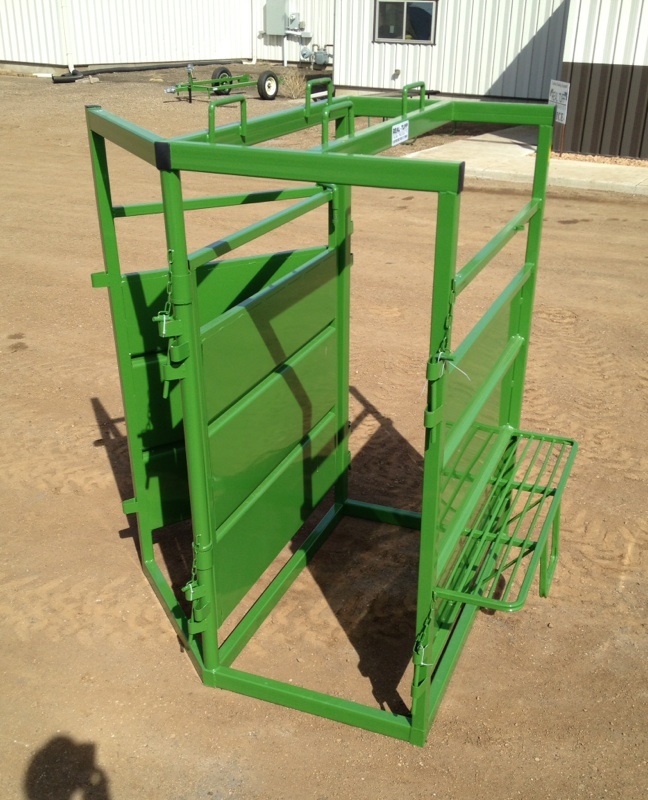 Let us help you with your farming & ranching needs! Dimensions: 5’2″W x 5’2″L 700 lbs. 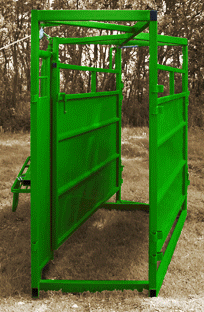 The 2 way splitting alley from Real Tuff Livestock Equipment is an excellent addition to any livestock operation. 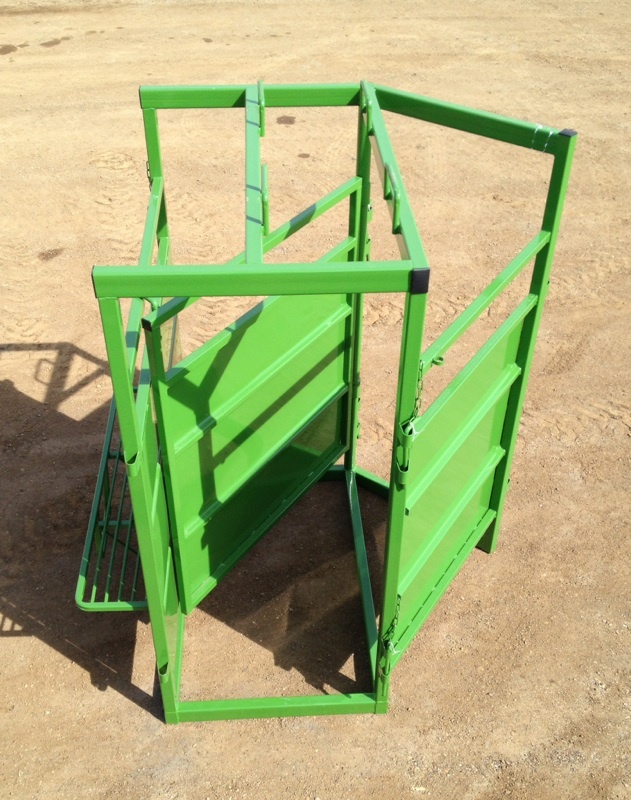 It features one-piece construction that allows you to place it anywhere in a stationary handling system. This alley is available as either a right or left hand exit with the door swinging to sort either way. Splitting door can lock in whichever position you need at the time. 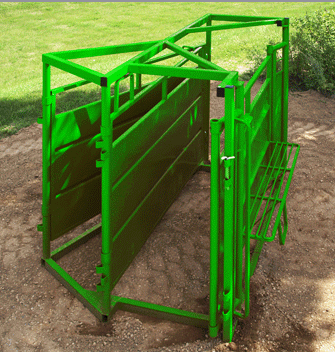 The 3 way splitting alley from Real Tuff Livestock Equipment is an excellent addition to any livestock operation. 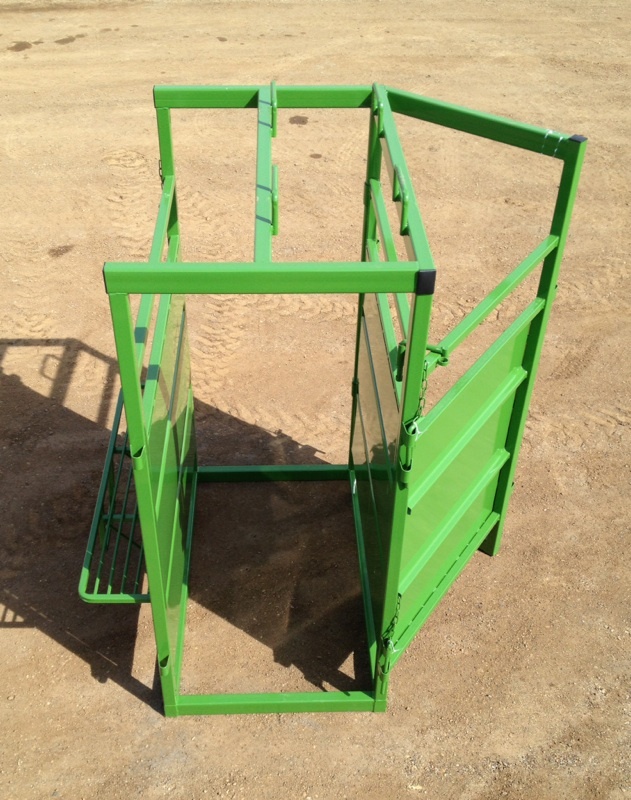 It features one-piece construction that allows you to place it anywhere in a stationary handling system. This alley is available as either a right or left hand exit with an adjustable width and a spring loaded divider panel. The rope and pulley system affords greater safety to handlers and helps get the job done more efficiently. 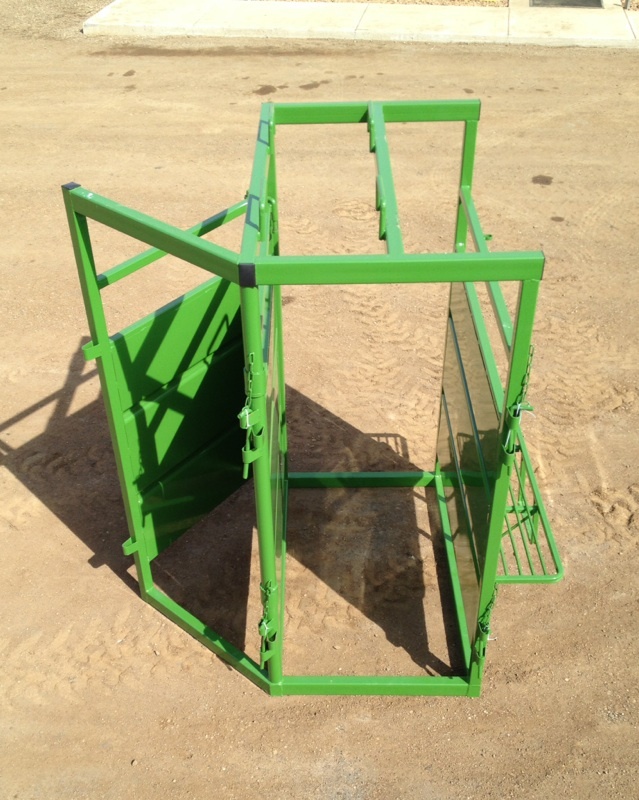 In addition to the two standard exits, this unit has a side exit making it the most versatile piece we offer. As always, the experts at Real Tuff test and approve the construction and material of this equipment. 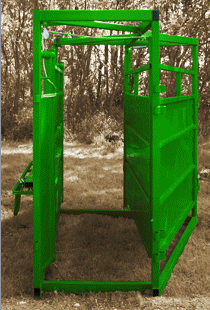 We know livestock equipment. We know you need tough material and our splitting alley goes above and beyond the call of duty to deliver exceptional results. Site Map © 2019 Real Tuff Livestock Equipment. All Rights Reserved.